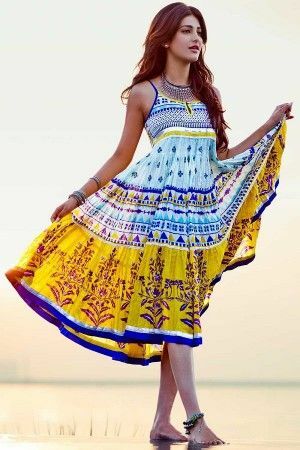 When it comes to being desi, a kurti is at our easiest disposal. We know now the comforts and style a kurti brings to us keeping intact our cultural patterns. Plus ,you can either carry it in a totally traditional way or keep it up for Indo western styles. It’s comfort attracts many and is a easy option for ageing women who find it hard to continue with sarees. It’s available in multiple fabrics and as per the occasion, one can choose from the various varieties available in the market. Also, from casual to party wear, this comes out to be a great outfit bashing various clothings not just in terms of comfort but style and easy availability too. You can choose kurtis for any and every season without any inconvenience. From light to heavy, you have got it all in the range. I’m glad we came to range, cause it will never bother you. You thought you get the best when the price goes high. But with kurtis, you don’t have to worry much. You can great patterns in the lowest possible rates with good endurance. Though it might be a little difficult to look for all these factors in market, but you can easily browse through the internet and get it. 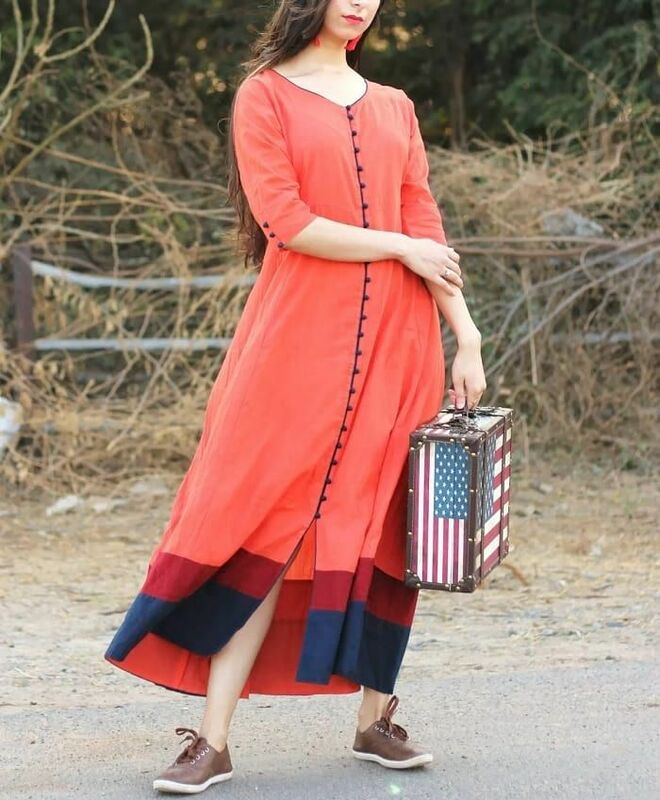 Now seeing the on going craze for kurtis, you might as well decide to get a piece of clothing and get it stitched to suit your style or design your styles and sell some. Now for this, you have to begin primarily with your neck designs which is the main factor responsible to place you on a pedestal. But here we have got the most amazing neckline designs for you to pick from. Have a look and let us know in the comments section below if you liked it. 1- The Boat takes it all. Pick an outfit from the western world or choose anything from here, boat is sailing through all places and filling up all harbours to provide it’s style service. The boat neck is here for the kurtis too. Make sure you have this style in your closet. 2- Keyhole will fill the void. Got a plain cloth and you have no idea aa what is to be done? You don’t want to over do it but don’t like it dull too? The minimal but the best? Here is the key to it— keyhole. 3- Collar will add the charm. If elegance and charm is what you are looking for, then collar it up and spread the same. Collar is the kind of neckline design that can instantly give you a formal look. 4- High neck can cover up your doubts. You don’t have time to think about much but are not ready to settle for less, then don’t. You don’t need to. The high neck look will always give you more ! 5- Get footloose with Asymmetrical. A zigzag pattern that can work for A-line kurtas and anarkalis really well. 6- It will be V easy. This is the kind of neckline which most women find very comfortable to carry since it suits most of the body types. It compliments a female body in the right proportions. 7- U can do it ! It always does. Isn’t it? Pick up a party or a casual evening. Office outfits and for all the misfits. U can always do it ! 8- Don’t loop it, just Scoop it. You probably didn’t pay much attention to this until very recently Deepika carried this neckline style in her plain white suit. Don’t chuck this out, just check it out. It does have the flair to make you pretty fare in this game. 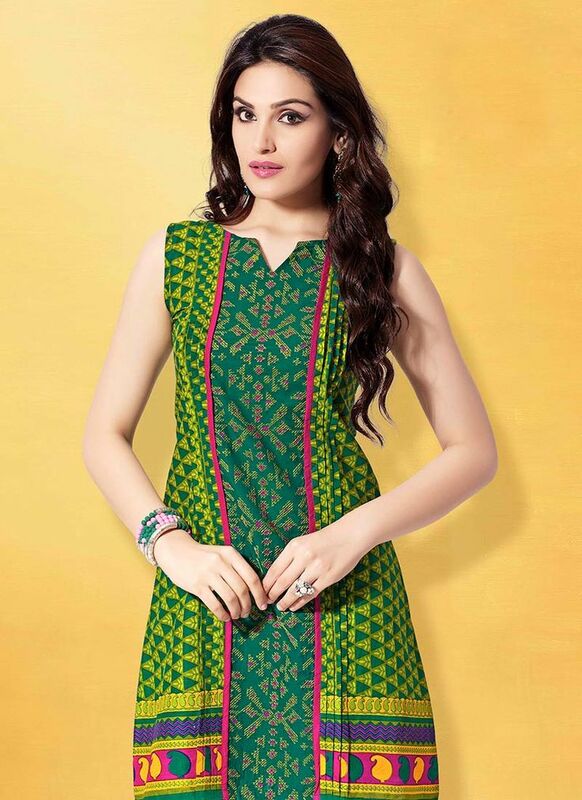 It gives a smart, neet cut to your kurti ,why not you give it a try? 10- Pass on a plate for Spaghetti. You’ve eaten this a lot. Try wearing it sometime. Maybe when you’re off to beach and done with your bikinis, give this a shot once. 11-Add some Jewel to your closet. And a jewel neckline will save you from a buying a real one. It covers up your shoulder and neck area with embroidery and art releasing you from the very stress of accessorising your neck. Isn’t it a jewel? Pretty precious. 12- Surplice was never gone. Ohh, you though it did. But it didn’t. Don’t run out of choices by your assumptions girls. It’s there and very much here to stay. 13- It’s not sleeveless, it is Halter Neck. It’s not the sleeve, it’s the neck ladies. Embrace it well with this. 14- The subtle art of having Sheer. Sheer, oh dear! It’s everywhere, yet not common. With every new thing, sheer comes up with another style altogether. Get some sheer for your neckline design and it’s sure to get a hit. 15- If you’re done with the boat, come upto Crew. Too much of boat styles. Want some more? Don’t worry, you have it’s crew. 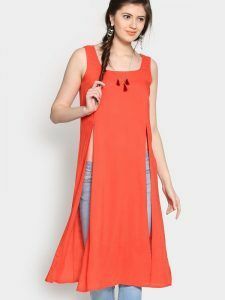 Crew neckline can work for both long as well short kurtas and give a gown like appearance when taken for long ones. 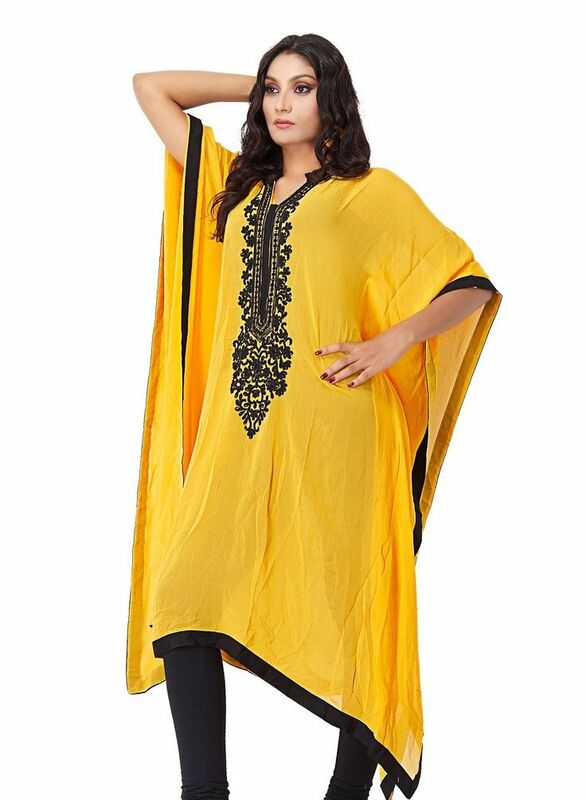 You surely want to wear one Kurti right? Go ahead. Pick up your style. Get it done. You are ready to slay.